Award reflects company’s commitment to employees at corporate customer service hub. 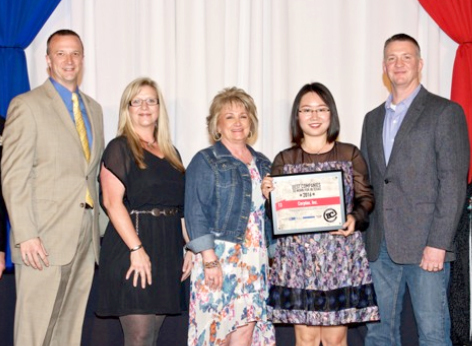 Corptax, the provider of leading software solutions for corporate tax, was recently named a 2016 Best Company to Work for in Texas for the fifth year straight. The awards program recognizes and honors companies that benefit the state's economy while providing an excellent work environment for their employees. Companies from across Texas participated in a two-part evaluation process. Part One assesses each nominated company’s workplace policies, systems, philosophies, practices and demographics. Part Two surveys employees to measure the "employee experience". The combined score determines the winning companies and their final rankings. "We are delighted that we have received this honor for the fifth year in a row," said Corptax President Dave Shea. 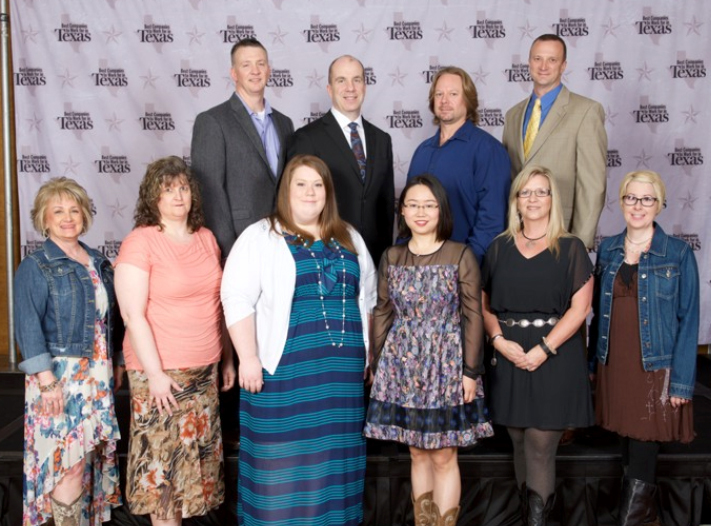 "The Corptax Texas team is a great group of people and critical to our success. Their dedication to our customers’ achievements, our company and each other is outstanding." Senior Technical Writer Audrey Lange said, "Corptax really cares about and invests in their employees, whether it’s through sending us to training, rewarding us for our hard work, or just bringing in lunches during busy season to show they appreciate us. I’m glad their dedication to their workers is being recognized, and I’m so proud to be a part of this company!" Along with this honor, Corptax also received a 2016 Best Companies to Work for in Illinois award for the third consecutive year. Corptax offers a casual work setting and devotes substantial resources to accelerating employees' personal and professional growth, including advanced technology tools, hands-on training and comprehensive benefits. For more information on the Best Companies to Work for in Texas program, visit http://www.BestCompaniesTX.com. Corptax transforms the business of corporate tax through technology, business process expertise and award-winning support. Clients achieve breakthrough performance using the first and only single-platform solution on the market. They benefit from unmatched automation to align processes and workflows, enhance transparency, improve accuracy and lower risk across the tax lifecycle. For more than 40 years, Corptax has supported the evolving tax needs of leading organizations in many industries. Today, Corptax helps over 800 clients in 100 countries, including 50 percent of the Fortune 500 and 60 percent of the Fortune 100, nationally. Learn more at http://www.corptax.com. 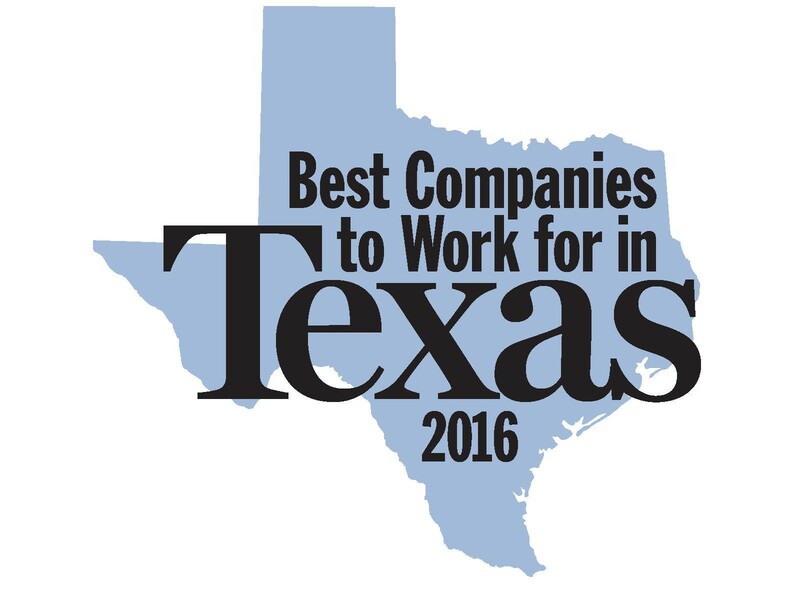 Corptax Named a 2016 Best Company to Work for in Texas for Fifth Consecutive Year. The Award was presented at the Hyatt Regency in Austin, Texas on Tuesday, March 29, 2016. Accepting the award, from left to right: John Higgins, Paulla Goines, Debbie Juett, Erin Han, Scott Hunter. Corptax attendees, from L to R: Top: Scott Hunter, Lloyd Howlett, Troy Spiess, John Higgins Bottom: Debbie Juett, Belinda Kioupakis, Audrey Lange, Erin Han, Paulla Goines, Shannon Valentine-Sabath.